Traditionally, insulin is administered to diabetic patients with vials and syringes. An alternative method using insulin pens and cartridges could simplify the administration process and increase dose accuracy, as it allows for a precise display and selection of dosing units. While insulin pens and cartridges have been thoroughly tested and proven safe, additional risks can arise when they are applied into clinical workflow and interact with electronic medical records (EMRs). When Toronto Western Hospital decided to pilot insulin pens and cartridges for administration to patients by nurses, they looked to Healthcare Human Factors to uncover potential safety risks and usability issues. A total of eleven nurses participated in the evaluation, held in a recreated clinical environment in our state-of-the-art labs. Our team asked nurses to prepare and inject the pens into patient mannequins, following their normal workflow, which includes interactions with EMRs. Upon conclusion of the usability testing, it was revealed that implementing an insulin pen and cartridge system in place of the needle and vial system was not without associated risks that could impact patient safety. New safety hazards included medication mix-ups, dosing errors, and contamination. 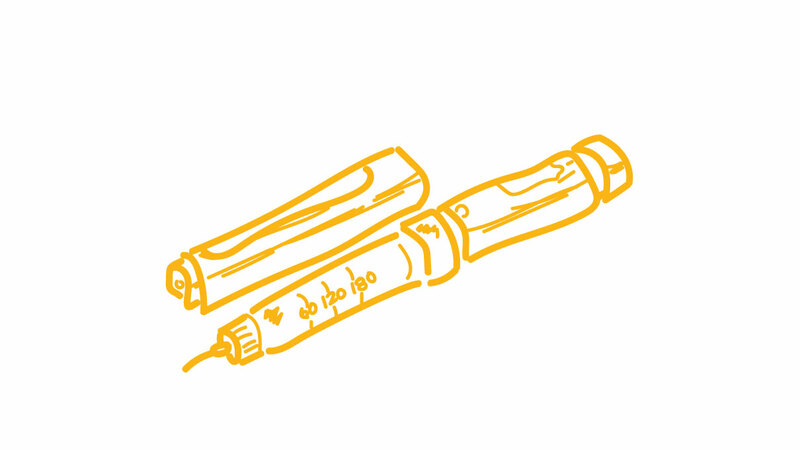 Our team provided recommendations to the Toronto Western Hospital in their procurement of insulin pens and cartridges.